I love these; I wish there was a clear that turned to hot pink; I'd paint my DH's toes while he was sleeping and then watch his face when he's outside...even better if all his frens seen his hot pink toes..would be hilarious! 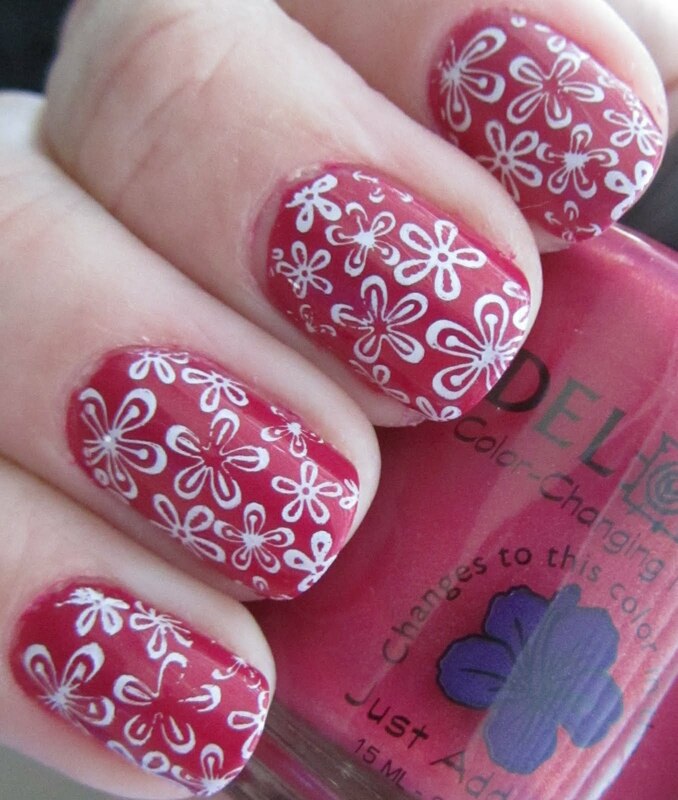 It would also be cool for stamping if there was colour changing stamping polishes! What a nice stamping, too! oh how I want one of those. I have almost ordered online many times. Sally Beauty supposedly has some solar polish, but I'm not sure if it's the same brand. I love this stamping and color combo!